Hussle, 33, was shot dead in Los Angeles on Sunday. Los Angeles-native Westbrook also holds the record for most triple-doubles – reaching double digits in three of five categories (points, rebounds, assists, blocks, and steals) in a game – in a season with 42. 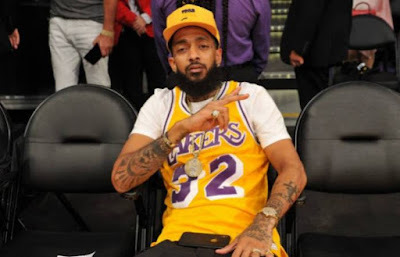 The Los Angeles Clippers mourned Nipsey with a jersey dedicated to him. Westbrook joins Wizard’s Troy Brown Jr. who dropped a career-high 24 points on Sunday and dedicated his career-best performance to late rapper Nipsey Hussle.